Excavation and trenching are among the most dangerous construction operations. According to the Occupational Safety and Health Administration (OSHA), two workers are killed every month in trench cave-ins. Other potential dangers are falling loads, hazardous atmospheres, and accidents involving mobile equipment. Employers must ensure that workers enter trenches only after adequate protections are in place to address these concerns. 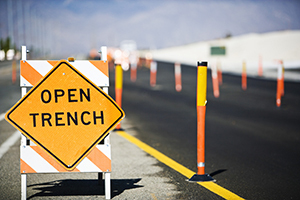 From June 18-June 23, 2108, the National Utility Contractor Association (NUCA) is hosting Trench Safety Stand-Down, a week-long event to focus on trench and excavation hazards.